The four seasons of the year can be enjoyed here. 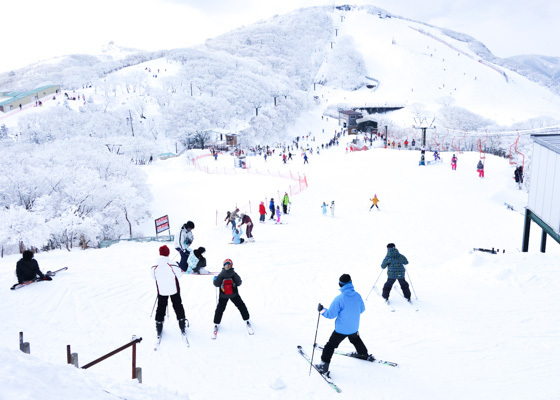 The azaleas and cherry blossoms in spring, the cool breeze during the evening time and red dragonflies at summer, the red maple leaves in autumn, and the frost-covered trees and skiing from the hill top during the winter. 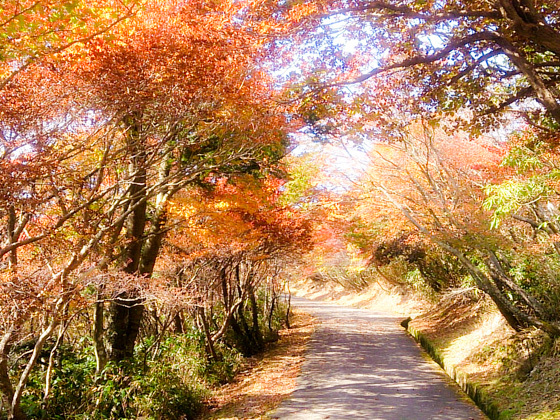 There are several trekking routes to climb the Mount Gozaisho, including the one from the Yunoyama Onsen hot spring. A physically fit person can climb the mountain and come home on the same day. 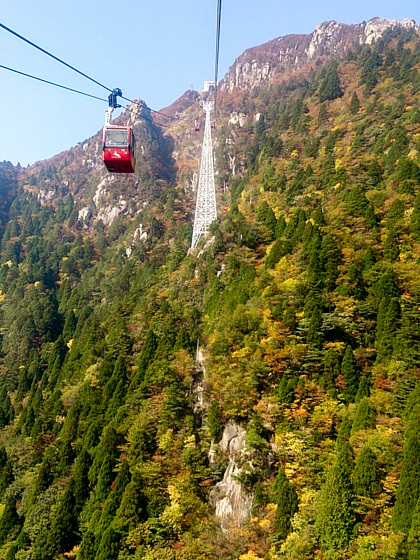 For ordinary people, travelling to the summit by the ropeway is convenient. 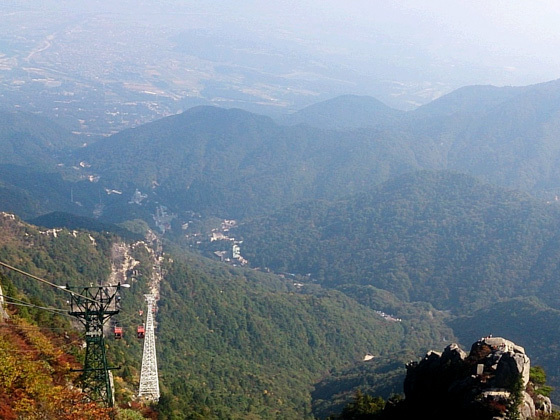 The Gozaisho ropeway is one of Japan's longest ropeways, connecting the Yunoyama Onsen station (400m above sea) and the Sancho Koen Station (1,180m above sea) in approximately 15 minutes. It is 2,161 meter long in total and travels a height difference of 780 meters. The mountain slope shows us diverse aspects depending on the place and season of the year we observe it. A panoramic view of the Ise Plain, Ise Bay and Chita Peninsular can be enjoyed if the weather is good. 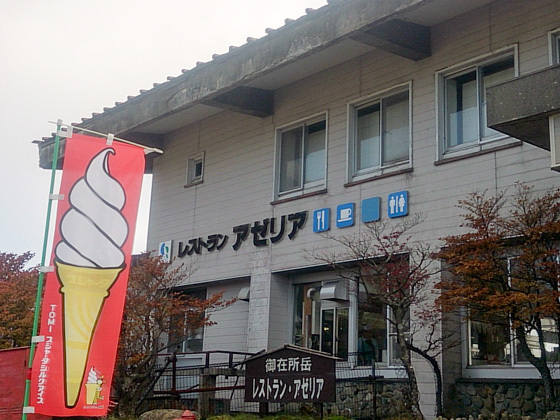 The ropeway station is in a 10 minute walk distance from the Yunoyama Onsen bus stop. 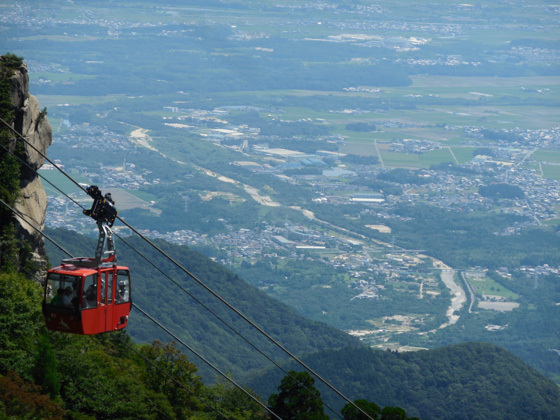 The Yunoyama stop is 130 meter above sea, while the ropeway station is 400 meter high. Enjoy the petit hiking. If you think that is tiring, we advise you to take a taxi (approx. 10 minutes). In just around a 10 minute ride, you will enjoy the different views of the mountain as the gondola lift travels higher. 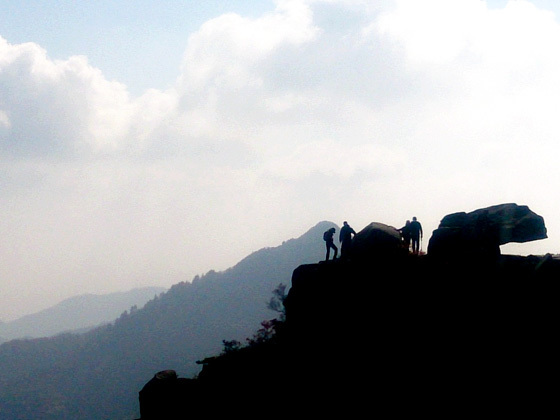 As you get closer to the summit, you will see giant rocks on your left and right. Trekkers will wave hands to you. 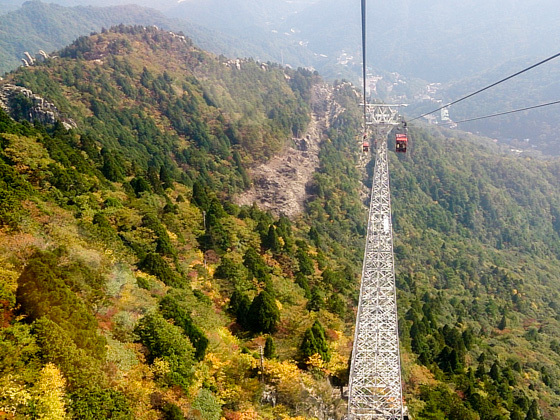 Get off the gondola lift and you'll be at the Sanjo Koen. Breathe in the fresh cool air. It is 10 degrees Celsius colder than the mountain base. Use the ski lift to go even higher. 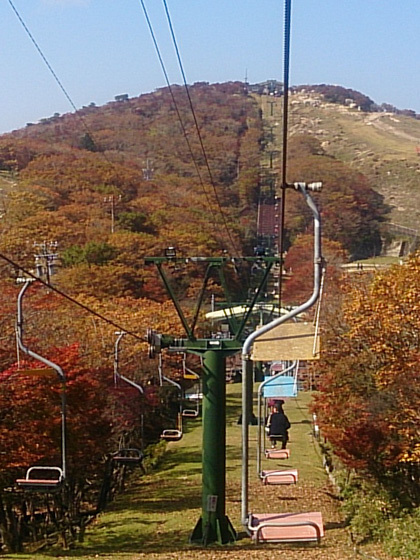 Ski lift fee: Ropeway station to the Chojyo station. Round ticket 600 yen, one way 300 yen. 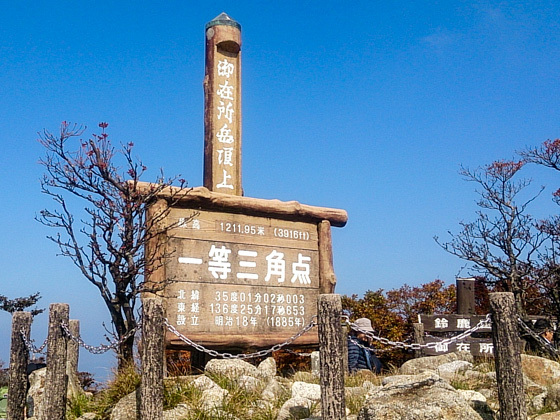 The summit is located at the boundary of Mie and Shiga prefectures. A splendid view spreads in front of you. There are benches for you to sit down and relax and a rest space not just for visitors who come by ropeway but also for a lot of trekkers. If you are not in a rush, it is nice to walk back relaxingly from the summit to the Sancho Koen station. Walking along the pedestrian where the sunlight shines in between the tree leaves will allow you to feel the nature and green of the season. 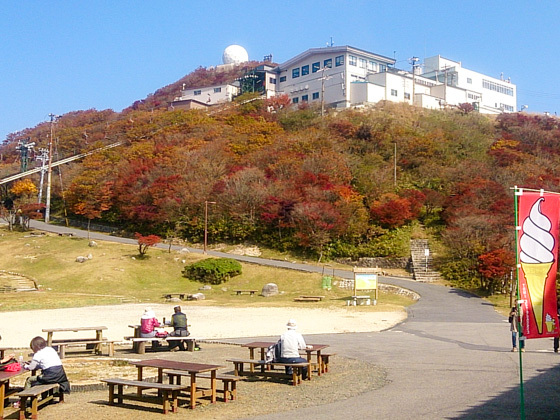 Restaurant "Azalea" is a recommendable place at the summit for having lunch. 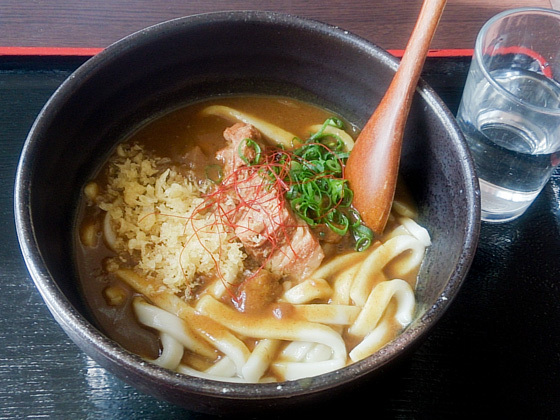 Curry taste udon noodles and ramen noodles are particularly popular. Both have a richly-textured soup. The beautiful view you get from the mountain top makes it more special. Curry taste udon noodles at the mountain top restaurant. 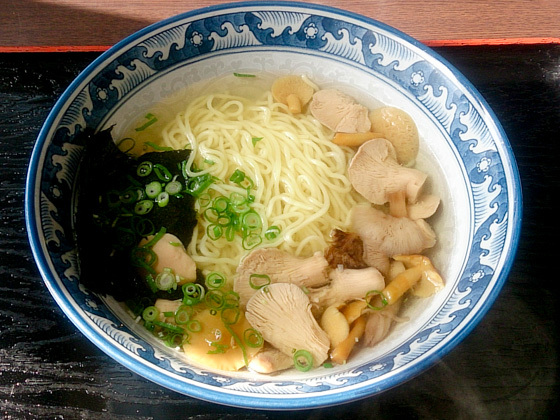 Ramen noodles at the mountain top restaurant. 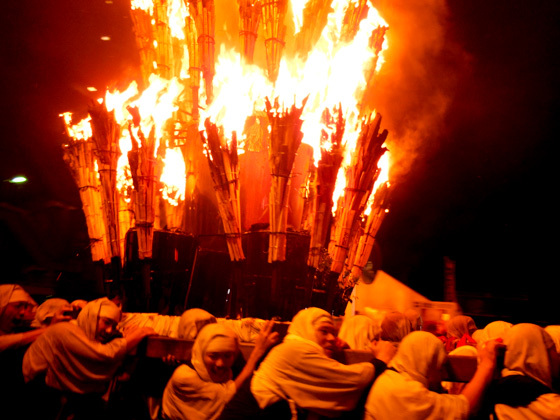 The Yunoyama Onsen hot spring is believed to have been discovered by a Buddhist priest named Jyokun in 718 (Yourou 2) through the prophecy from Yakushi-nyorai (Medicine Buddha). The hot spring is also known as "Shika-no-yu" based on the legend that an injured deer ("shika" in Japanese) cured himself in the hot spring. 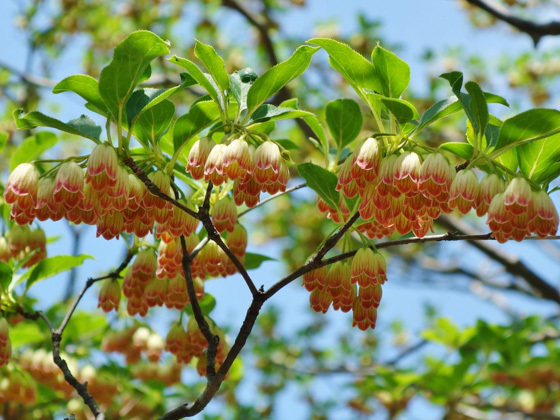 Spring quality is alkaline radium, and is effective for gastrointestinal disease, neuralgia, and traumatic injury. 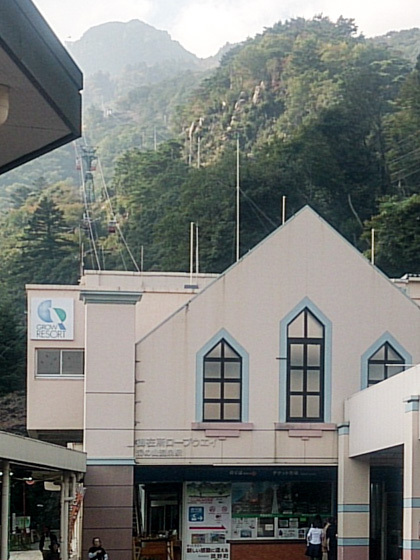 There are a number of hot spring facilities at the foot of Mount Gozaisho. 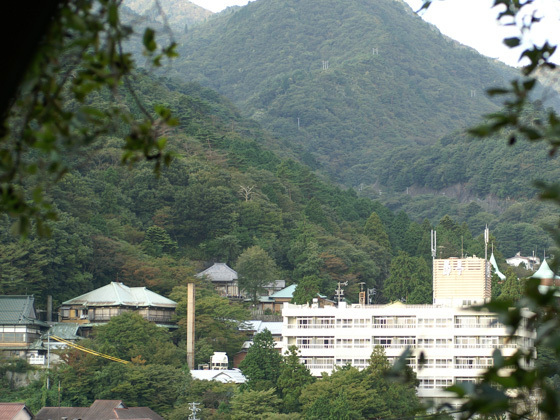 Various hotels and inns can be found in the Yunoyama Onsen area. 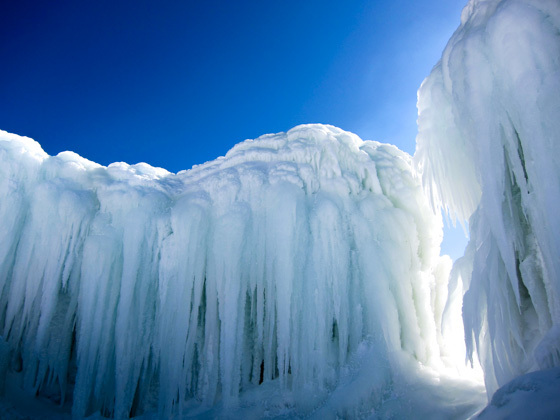 Enjoy the soothing hot spring and local cuisine at one of the traditional hotels. 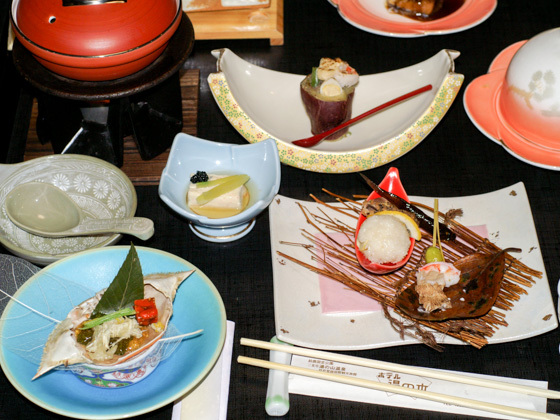 Although Yunoyama Onsen is located in the mountains, dishes served at the hotel are mainly seafood as the area is also close to the Ise Bay. 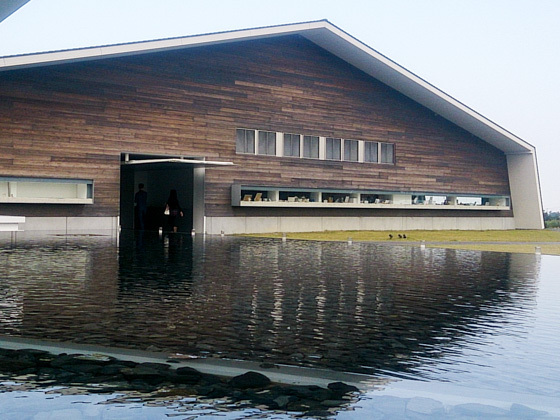 It is a complex facility which is drawing people's attention recently. There are various buildings inside the premises with six different themes; spa, stay, food, plantation, celebration, and store. A good place to spend relaxing moments. The spa is 100% free-flowing hot-spring. The restaurants at Aqua Ignis serve good food for you to enjoy after refreshing yourself with the hot spring. Other than traditional restaurants, there are also confectionery and bakery shops in the area. The confectionery is owned by a famous pâtissier, which attracts customers who come to buy even from afar. The breads in the bakery are baked using only made-in-Japan flour to assure safety and quality, which are also making good sales. The Mitaki River runs through the Yunoyama Onsen district. There are numerous massive and odd-shaped rocks along the river stream. 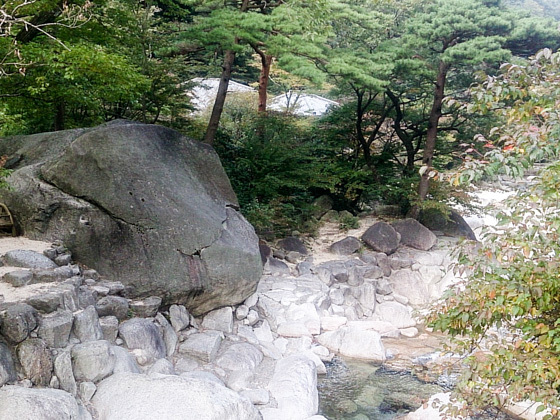 At the Oishi Park, you will find a giant granite rock which is believed to be the biggest in Japan. The name Oishi (meaning big rock in Japanese) comes from this fact. A lot of people visit the area during the summer to get refreshed. 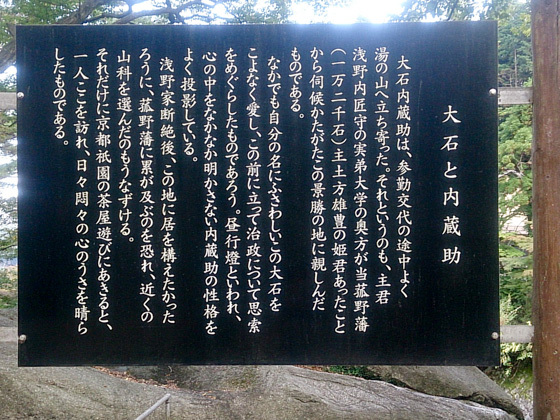 It is said that Oishi Kuranosuke, a famous figure in the Chusin-gura (a Japanese literature based on a true incident) during the late Edo period stood in front of the big rock for a while and pondered when he visited Oishi Park. 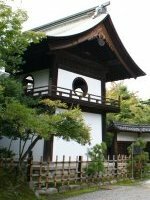 The Sangakuji Temple (based on the Tendai school of Buddhism) is located near Oishi Park. 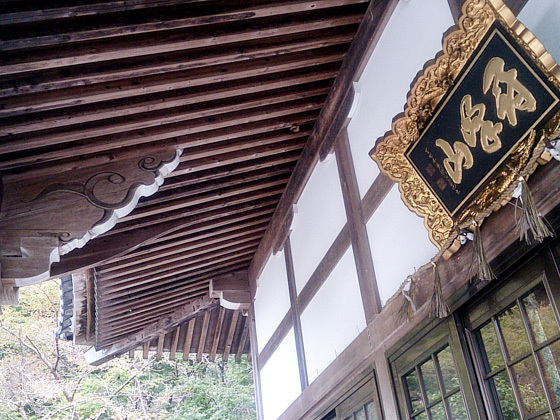 It is a branch temple of the Hieizan Enryakuji Temple. 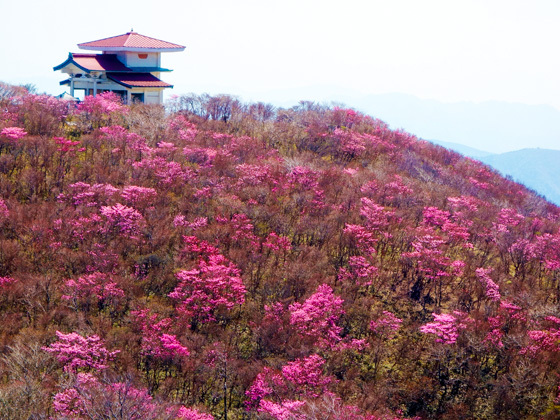 Today, the place is known for being one of the love knot temples following on the paper crane legend. 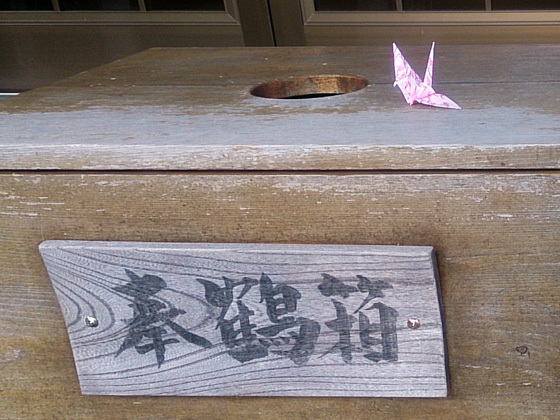 Write down your wish on an origami paper, fold it to form a shape of crane and make an offering called the "orizuru hounou". People constantly visit the temple to make prayers here. 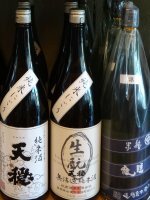 Try to drop by one of the stores that sell local products and souvenirs in front of the Gozaisho Ropeway Yunoyama station. 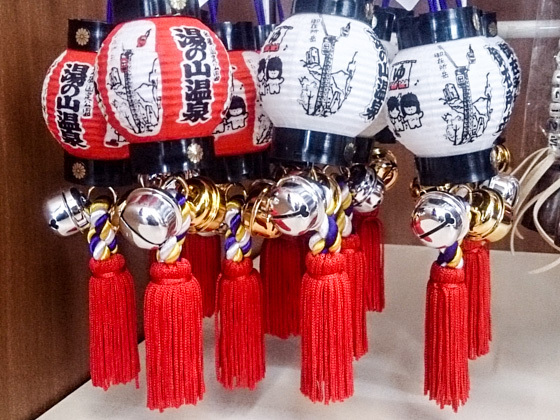 This lantern is popular among foreign tourists who are fond of the traditional Japanese design. 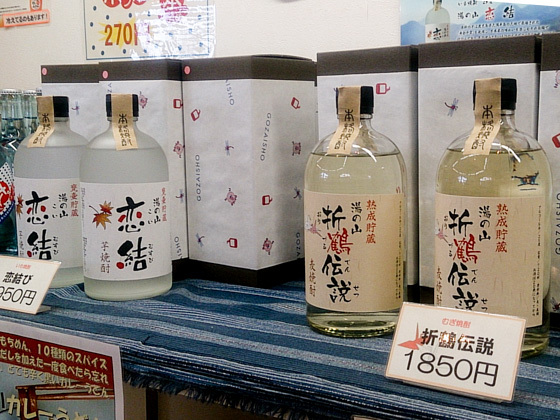 Local Sake which offers a mild taste is also one of the good selling products. 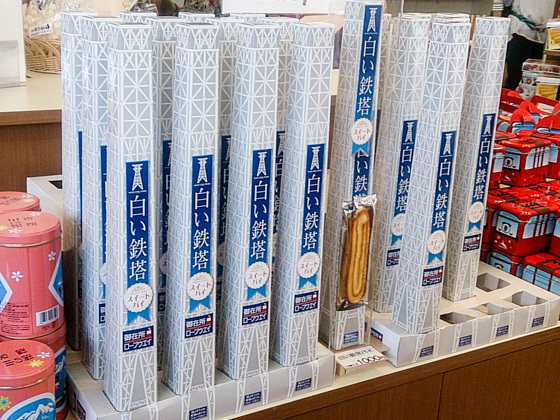 A sweet pie pastry resembling the white steel ropeway tower.